I have uploaded a video to YouTube that overviews the new look and feel of the Organizer in the just released Photoshop Elements 11. I will upload additional videos covering the Editor and new features soon. It’s late September. And as Adobe has done for several years now, they have released a new version of Photoshop Elements and Premiere Elements. For the past many years the programs have basically looked the same at a glance with new features added each year. It’s different this year! Both the Organizer and the Editor have a new look and feel to them, which require new workflows to use them effectively. Adobe’s goal was to make the program easier for new users to learn and make the operations more discoverable. Experienced users will need to do some relearning. After several months, I am still getting comfortable with it. But remember, I have used earlier versions for over ten years. There was a lot of unlearning I had to do. Here is a link to where you can download a free trial. 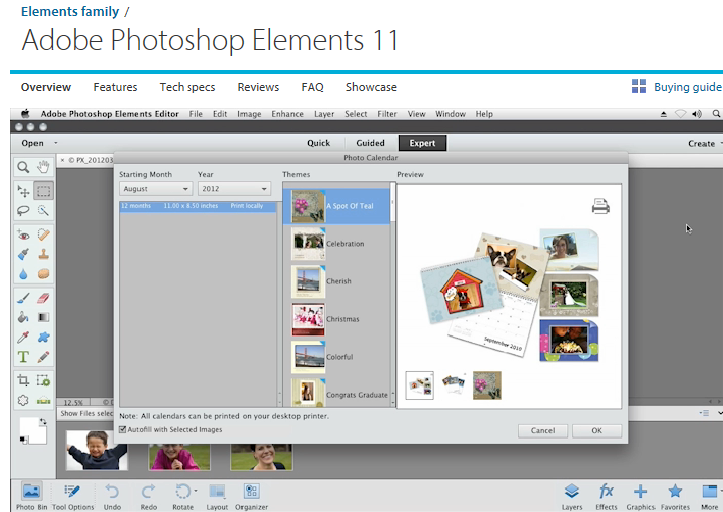 Here is the link to find out more about what is in Photoshop Elements 11. You can download the free trial now. Boxed copies will be available in mid-October. I’ve put together a video that overviews the Organizer. I will post it later. Classes start next week at the South Bay Adult School, Torrance, andPV NET. If you have been procrastinating on whether or not to take a class this term, you better decide quickly! Waiting very much longer may find the class cancelled due to low enrollment, or even filled to capacity. Both are possible. To review the classes I will be teaching starting next week, you can click on the link below and then follow the link on the left for the school you want to attend. I hope to see you in one of the classes.